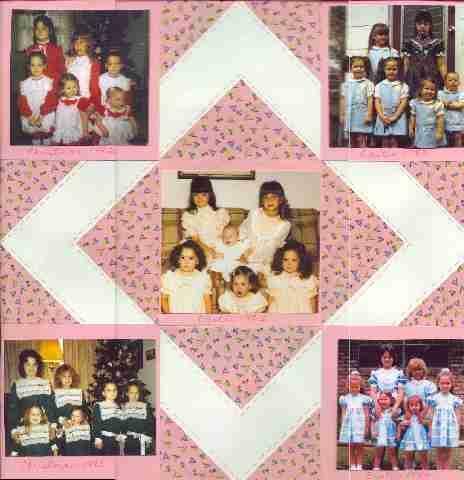 A quilt book dedicated to my mom and all the sewing she did on matching Christmas and Easter dresses. I got many of the quilt pattern ideas from the Graceful Bee site. Since most quilt blocks are square, and most photos are rectangle, I had to make the quilt blocks first, then mount the photos on top.